We stuffed ourselves on gourmet meals in some of the country’s finest restaurants, ate a ton of delicious Tex Mex, enjoyed Asian, Indian flatbread, and just about everything else. We visited art galleries, the beach, and drove past some of the beautiful ranches in the area. That was the good news. The bad news was Houston in August is HOT. It’s also muggy and sticky and you just can’t wait for October to arrive. Or maybe September. Two years ago, we traveled to Lubbock for a Western Writers of America conference. I was reluctant to go in the summer, but it turned out to be a really great trip–hot but dry. We visited the Museum of Texas Tech and met some fun people, including old-time movie star, Barry Corbin, who’s been in everything from Urban Cowboy to The Best Little Whore House in Texas. For the past few years, I’ve been setting my stories in Dallas, one of my favorite cities. 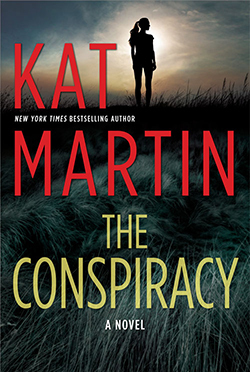 In THE CONSPIRACY, out January 22nd, Harper Winston’s brother has disappeared. 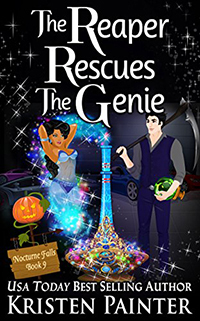 Desperate to find him, Harper is forced turn to the wealthy owner of Maximum Security, private detective, Chase Garrett, once her brother’s best friend. But dealing with the Winston crime family won’t be easy. With time running out, Chase must find a way to keep Harper safe…and both of them alive. Texas is a place that captured my soul long ago. If you don’t have time to visit, I hope you look for Harper and Chase in THE CONSPIRACY and that you enjoy.